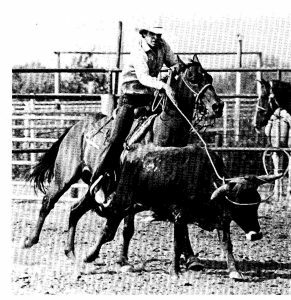 More than 35 years ago, a group of folks associated with Falls Distributing, Budweiser and the North Texas Rehabilitation Center in Wichita Falls, met to put together the first ranch rodeo in the country to honor the working Texas cowboy. Three charities were selected to receive the proceeds: North Texas Rehabilitation Center, West Texas Boys Ranch and West Texas Rehabilitation Center. 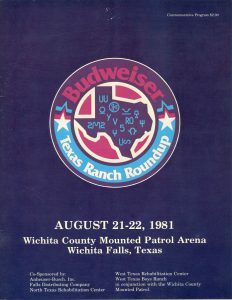 That first year, participants in the Texas Ranch Roundup were from the following Texas Ranches: R.A. Brown Ranch (Throckmorton), Coldwater Cattle Company (Borger), Cowan & Son Circle Bar Ranch (Seymour), Double U Ranch (Post), Lewis Ranches (Clarendon), Moorhouse Ranch Co. (Benjamin), Pitchfork Land and Cattle Co. (Guthrie), Renderbrook-Spade Ranch (Colorado City), Scharbauer Cattle Company (Midland), Swenson Ranches (Stamford), Tongue River & Spur Headquarters (Dumont & Spur), U Lazy S Ranch (Post), and the W.T. Waggoner Estate (Vernon). 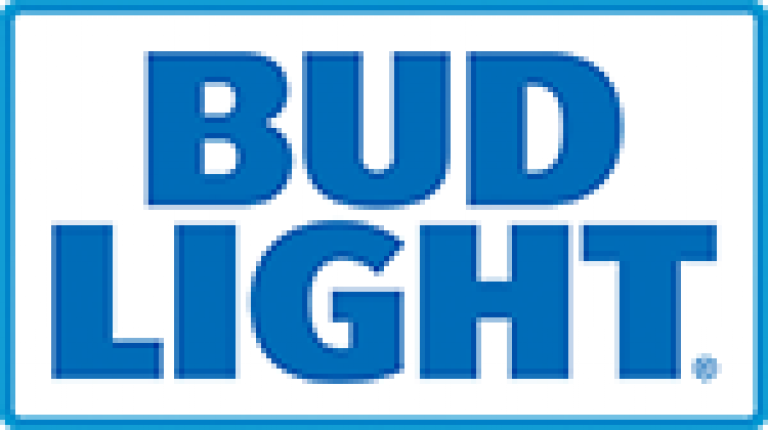 Other participating ranches have included Bridwell Ranches (Wichita Falls), Burnett Ranches (Guthrie), Circle Bar Ranch (Truscott), Green Land & Cattle Co. (Albany), JA Ranch (Palo Duro Canyon), Johnson Ranches (Amarillo), King Ranch, Inc. (Kingsville), Kokernot 06 (Ft. Davis), Nail Ranch (Albany), Quien Sabe Ranch (Channing), Tongue River (Dumont) and Rocker b Ranch (Barnhart). 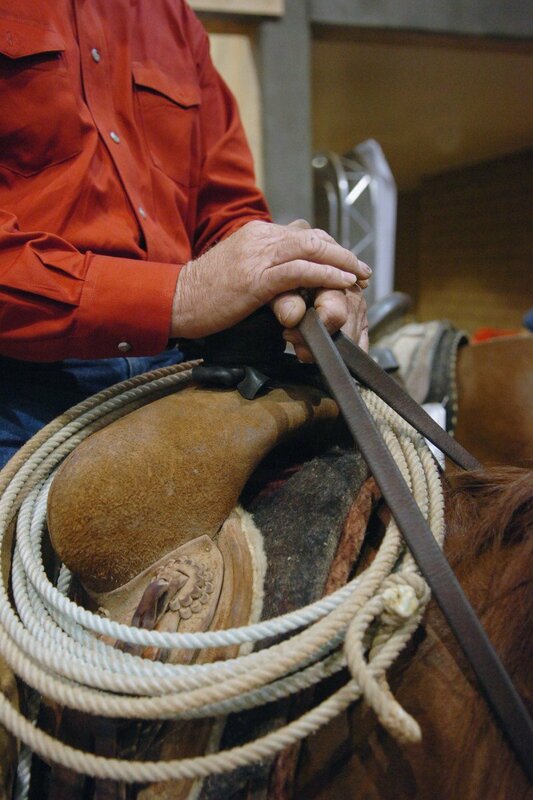 The Texas and Southwestern Cattle Raisers Association competed as guest team in 2000-2001.